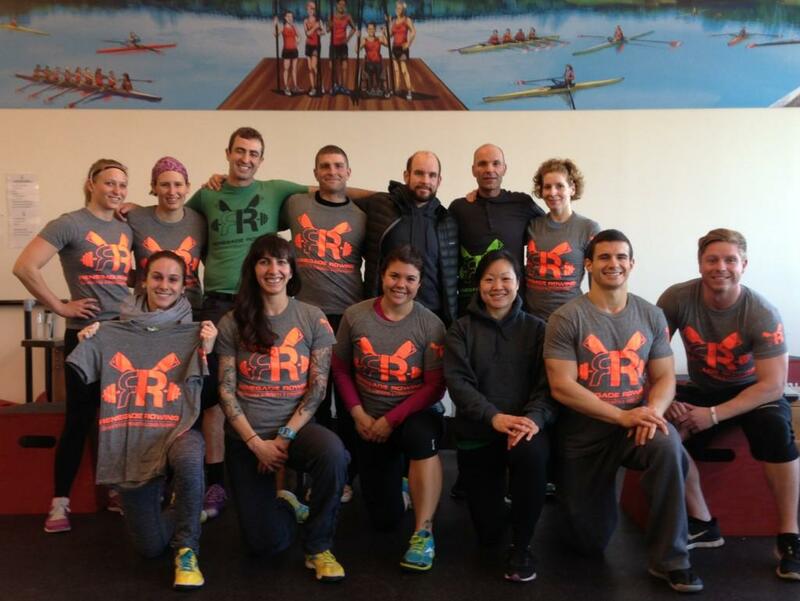 CFH2O at the first Renegade Rowing Workshop Sunday! More details to come! Elite fitness is all about developing power through high intensity. Today’s Rowing WOD is an opportunity to push your boundaries and test the limits of your speed. Catch your breath and focus on the 40 seconds off so that you can put every ounce of energy into suspending from the oar and going low on the split. Compare your results to your 2k race plan. Do you last through the first 7, but die soon after? Could you go faster at the start of your 2k? What happens to your focus in the last couple? Use your results to adjust your race plan and goal for our next 2k, which will be on January 19th at the third race of the Renegade Rowing League here at CrossFit Boston. Post your fastest and slowest splits to comments. The Renegade Rowing Club will be warming up with a couple of strap drills to feel and practice suspending from the oar. If all goes well I’ll try to get some video of the drill up for everyone later this week. Have Fun! This entry was posted in Rowing and tagged exercise, functional movements, mental toughness, new sport, row 2k, rowing, sports, training by Renegade Rowing. Bookmark the permalink. 1:31.7 slowest (interval 1), 1:29.2 fastest (intervals 7, 8, and 15). Good WOD – found I could do about 10 meters more per interval than in 20:10 Tabatas. All intervals after the first grouped between 1:30.7 and 1:29.2. Followed up with 100 butterfly situps, which is what my box is doing daily this month. I say this with love in my heart, You darn Freakshow! Now that is a strong looking group or rowers right there. Will be doing this later on. First wod following the programming. Excited. Is this just flat out or kept a certain number of strokes per minute? Also what is the damper setting? It’s all out but you want full strokes. I would say no higher than 36 strokes per minute. Get after it and have fun! 1:29.2 and 1:34.3 That wod was pretty easy until round 7, then it got bad, and I mean real bad, in a hurry!!! Loved it. You gonna be ready for a weigh in next week? I was up to 242lbs as of Sunday. Down to 236.8 as of this morning. We will start on Monday morning. Weigh-in’s every Monday morning. Yea I was up over the trip and lack of workout during Christmas and New Years. But I getting back on track so I will be ready on Monday. Alright Coach, you’ve been holding out on your loyal blog follower! How do I go about getting a RR grey/orange shirt? Hey Larry! I’ll shoot you an email with details tomorrow. Would love to get you wearing one! Send the detail to me too Coach. I would also be interested. May I join this exclusive tshirt club also? You bet Ward, details coming your way! Ouchie …. 1.34 slowest …. 1.25 quickest. It took me quite a few before i could get below 1.29. Nice work Richard! Sub 1:30 is solid! Thanks my friend, it was a great workout. I tried to get it lower but it wasn’t happening.